This table is perfect for small family that requires a durable, sturdy garden table. This table can be folded away for easy storage and assembled very quickly. 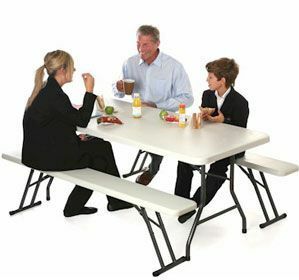 Handy fold away table with a heavy duty steel frame and table and seats made form lightweight polythurane. Perfect for occasional use.